FIVE-DAY ‘EU FILM FESTIVAL’ TO BE HELD AT JKK FROM 1 AUGUST. Jawahar Kala Kendra (JKK) is going to host the first-ever European Union Film Festival (EUFF) from 1 August to 5 August. 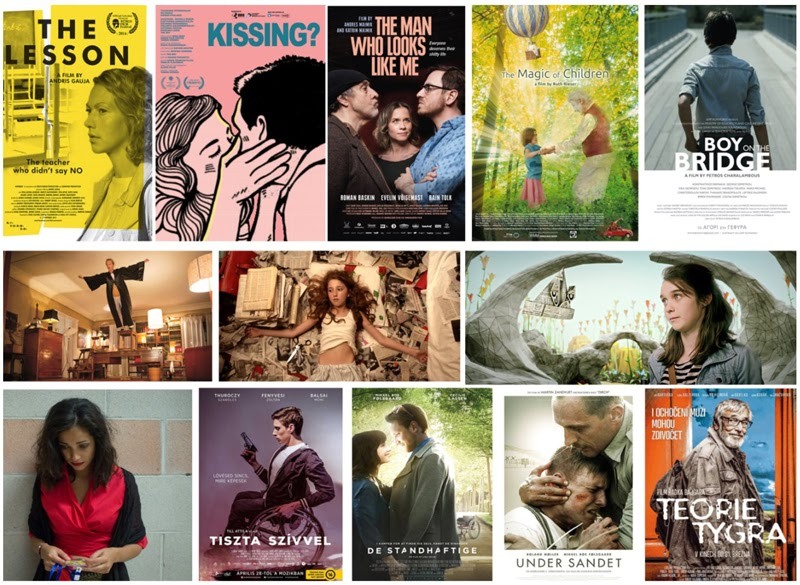 The festival will bring an eclectic selection of latest and award-winning movies from EU Member States. EUFF is being organized by the Delegation of the European Union and embassies of EU Member States in collaboration with JKK. Speaking about the first-ever EUFF in Jaipur, Director General, JKK, Ms. Pooja Sood said that it is a matter of great pride for JKK to be hosting the first-ever culturally acclaimed EUFF in Jaipur. The festival will celebrate diverse cultures through brilliant works of European artistes. Not only this, the cine-lovers of Jaipur will also have the opportunity to witness the technical excellence of award-winning films under one roof. Celebrating diversity, the festival will open with the award-winning movie ‘The Magic of Children’ from Austria on Wednesday, 1 August at 11 am. This movie has been directed by Ruth Reiser. This will be followed by ‘Cowboys from Croatia’ at 3 pm and ‘Boy on the Bridge’ from Cyprus at 6 pm. Next day, on 2 August, ‘Labyrinthus’ from Belgium will be screened at 11 am, followed by ‘Tiger Theory’ from the Czech Republic at 3 pm and ‘Kills on Wheels’ from Hungary at 6 pm. On Friday, 3 August, ‘Little Harbour’ from Slovakia will be screened at 11 am, followed by ‘Walk with Me’ from Denmark at 3 pm. The day will conclude with ‘The Man Who Looks like Me’ from Estonia at 6 pm. Similarly, on Saturday, 4 August, drama-comedy film ‘Mother knows best’ from Portugal will be screened at 11 am. This will be followed by ‘9 Month Stretch’ from France at 3 pm and ‘Unexpected Journey’ from Finland at 6 pm. On the concluding day of the festival, Sunday, 5 August, ‘Letter for the King’ from the Netherlands will be screened at 11 am. This will be followed by ‘The Lesson’ from Latvia at 3 pm and ‘When You Wake Up’ from Lithuania at 6 pm. It is to be recalled that the festival is being organised after a successful series of film and orientation courses held at JKK recently. The EUFF which kick-started in New Delhi traversing through 10 other Indian cities including Chennai, Port Blair, Pune, Puducherry, Kolkata, Jaipur, Visakhapatnam, Thrissur, Hyderabad and Goa.